Close to Downtown Belmont!! Enjoy the relaxed lifestyle offered when living in the gated community of Old Course. This lovely home has a modern kitchen equipped with custom cabinets, granite countertops, stainless steel appliances, a breakfast nook and built-in shelving. The spacious dining room overlooks your living room making entertaining enjoyable. 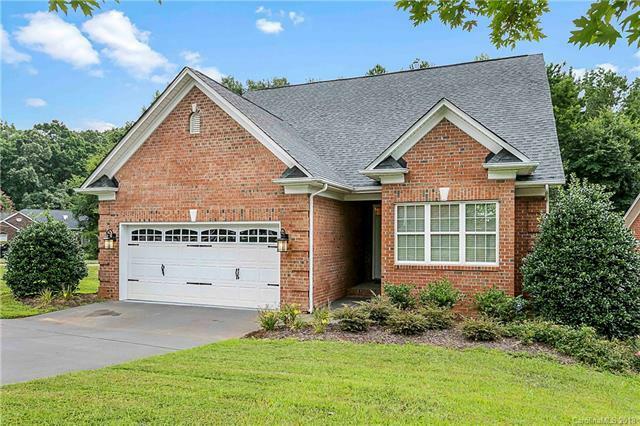 The flooring, plumbing, light fixtures, finishes and more all add to the appeal of this home. The 1st floor Master Suite with walk-in closet, upgraded bath vanities with tiled shower and separate garden tub all make for the perfect retreat. A half bath and laundry room make the 1st floor convenient for daily living. There are two more bedrooms on the 2nd floor and 1 full bath. This home is in a desirable gated golf community with easy access to the golf course and clubhouse amenities.